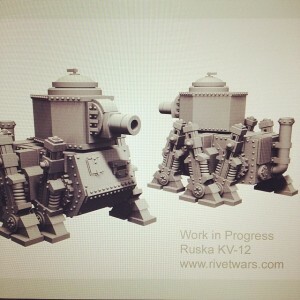 Rivet Wars is showing off their WIP render for the Ruska KV12 tank they're working on. Ruska KV12 Tank work in progress. A storm is coming.